What does this all mean? No more endless sync! ???? It is with joy that we present the 0.10.0 version of Ethereum Wallet and Mist Browser beta. This release brings some fundamental changes that will help shape the following versions of the project, along with some long-awaited improvements. Along with the Geth 1.8 series, the Light Client sync mode got significant improvements and is fully usable again. It features a blazingly fast zero-to-latest-block speed, with little impact on storage requirements. After lots of testing, we have promoted the Light Client sync mode as default on Mist and Ethereum Wallet for new users. You can toggle the sync mode on Develop > Sync with Light Client. We've spent quite some time simplifying the startup process. You can expect a smoother process as we’ve fixed some small bugs and annoyances. We are aware how much the syncing process takes away from the experience and while these improvements certainly help, we know there’s a lot more we can do. We are working on a “layered node” architecture in an upcoming release, which will allow us to remove the syncing screen altogether. 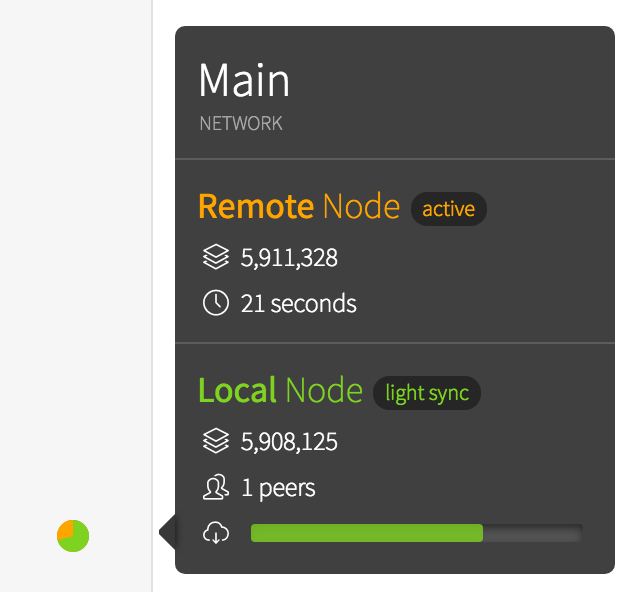 This feature will allow you to connect directly to a remote node and use Mist/Ethereum Wallet immediately. Meanwhile, your local geth node will continue to sync in the background and will receive web3 calls once it is fully synced. Read more on layered nodes here. We’ve updated to Electron’s latest stable release, with security fixes. More info on their release notes: 1.8.4, 1.8.3. Although we still maintain .zip files for Linux distros, we are reassessing the support to .deb packages, due to some unexpected behaviors. We’re studying the possibility to replace it by AppImage, a self-contained app bundling system that works with many Linux distros. It’s been widely used by modern apps today. Please head to this thread for more details. Although we’re making great efforts to tackle bugs, enhancements and user requests, the Mist repository gets a lot of support questions. We’re very grateful for the folks who have signed up to receive and triage issues using CodeTriage. This app sends a configurable amount of notifications per day (from 1 to 20) containing issues in need of a response. If you’re interested, this is a great way to help out our team and to learn more about the project. As always, you’ll find the checksum table below. Learn how to verify a file checksum. Ethereum Wallet and Mist 0.9.3 "Cliente Ligero"
This release brings more stability to the Geth Light Client integration and some general improvements. Mist now injects contractAddress on web3.eth.getTransactionReceipt() responses when the node does not return it. Which means, when using the Ethereum Wallet with Light Client enabled, it would properly show newly-created wallet contracts. See #3265. ⚠️ Do not visit untrusted DApps or websites with Mist browser in order to reduce risks! ⚠️ This release contains a security fix. Updating Mist is highly recommended. If you want to keep using an older Mist version, you mustn't visit untrusted websites. Refer to Electron 1.7.9 release notes for more info. Thanks to Juno and Hithereum Team for reporting. Any contributions to our Ethereum Bounty Program are much appreciated. Syncing time decreased by an order of magnitude, compared to running a full node. Same as for storage requirements. 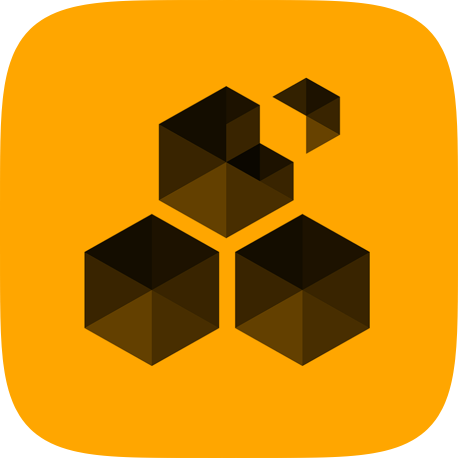 Ethereum Wallet and Mist 0.9.0 "It's happening"
Basically, it means that if you point your ENS domain to a swarm hash, the swarm content can be accessed on Mist via bzz://mydomain.eth. How cool is that? New web, much wow ???? From this version on Mist will not ship its own web3.js instance anymore. We only provide for now web3.currentProvider so you can connect to ethereum. In the future, we will provide a special ethereum object with a default provider. 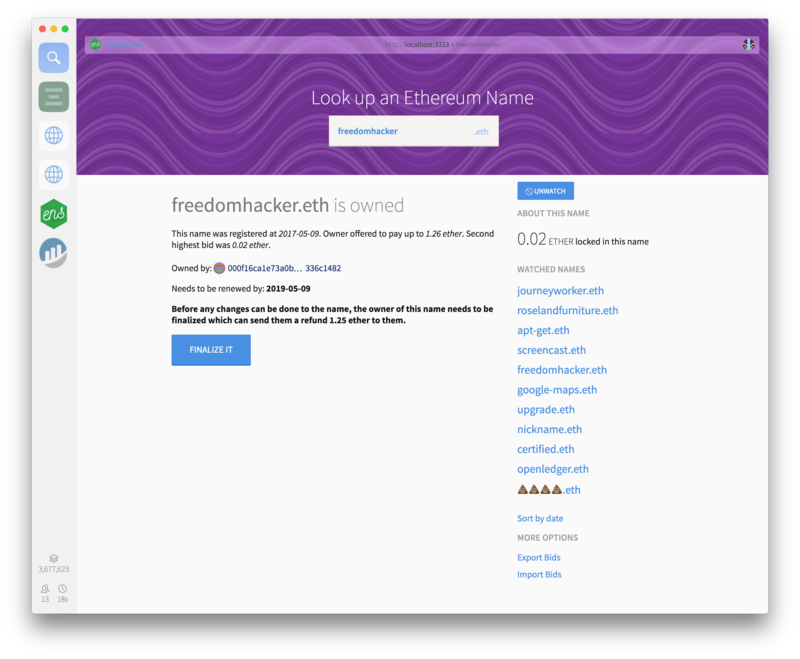 It will even double check the name and can redirect to preferred names, so if you type "ethereum" it will see that it points to the address of the Ethereum Foundation tip-jar, which calls itself "ethereumfoundation". The meteor package containing this special input type is publicly available at Meteor Package Elements, made by @alexvandesande, so you can use it on your Dapp today. This was only possible after @kvhnuke created the big list o' tokens, and @Arachnid created thetoken.eth service ???? 2017-08-20 edit: fixed Mist-0-9-0.dmg and Ethereum-Wallet-0-9-0.exe SHA256 checksums. As Mist 0.9.0 release is approaching, we'd like to inform that in the near future, from 0.9.0 onwards it won't inject web3 object by default on Dapps. This is a measure to keep Dapps stable on the long run as ethereum ecosystem evolves. We'll provide a developer preview version, so Dapp developers will have time to update their Dapps accordingly. The web3.currentProvider object will still remain for a period of time for backwards compatibility and a new provider object will be introduced. This version features a whole new and sidebar, giving people more room to browse, while presenting the Dapps in a beautifully, more prominent way. Fixes a bug that made tabs disappear for some users. Reinforced the need of backing up keystores. Improved password strength validation when creating accounts. From now on, the passwords should have at least 8 characters. ⚠️ As Mist is still under a security audit, please don't visit untrusted DApps with your Mist browser in order to reduce risks. Ethereum Wallet and Mist 0.8.9 - "The Wizard"
Remix IDE option on menu 0.8.9 also has a new menu entry to open Remix IDE, so now you have plenty of room to write your contracts without leaving Mist. Head to Develop > Open Remix IDE. A test suite is born: It was about time for Mist to have a solid set of integration tests. Now we're starting to kill this debt with a Spectron-powered test suite, that uses the amazing webdriver.io to interact with the webview instances. Fixes offline startup edge case #1571. Ethereum Wallet and Mist 0.8.8 - "smashing vulnerabilities"
For this release Mist undergone an Audit by Cure53, which was a very needed endeavour and we are thankful for the great expertise of the Cure53 team. This audit led to a lot of useful findings that strengthen the security of the Mist browser when interacting with external DApps. Though we also found certain vulnerabilities in electron, which is what Mist (and others like: Brave, Slack and Gitter) uses that we can't fix fully at the current point in time, without changes on the electron side, which we communicated to them. Luckily their team is very responsive and right on track to fix those as i write. We will hopefully in the next release be able to secure the electron vulnerabilities and provide a safe browser experience. We also fixed all issues on the Mist side that allowed to break the interface. We added a new 400 error page for disallowed URLs. We also improved the security of scripts running inside the DApps context and improved overall webview security. We might publish the full list of vulnerabilities at a later point in time. Big thanks goes to @cure53 and their great team for disassembling Mist and especially its integration of third party content. We will very likely have follow up audits of more aspects of the Mist browser. This release has major stability improvements on the node connection between tabs and the stability of the sockets, which were freezing Mist at times. The wallet was also updated and should now have the problem with the confirmation windows solved.